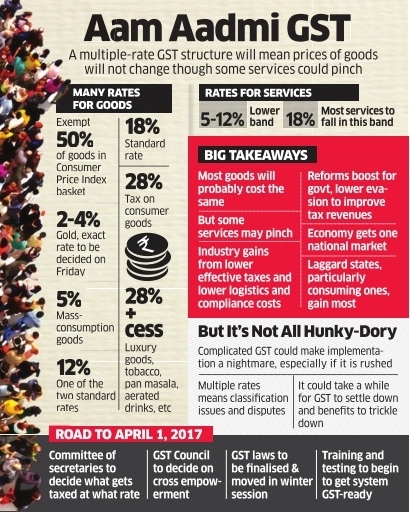 The Centre and the states agreed on four tax slabs for the goods and services tax, apart from levying a cess on coal, luxury and sin goods. The settling of the contentious issue paves the way for the rollout of the country's most ambitious tax reform from April. 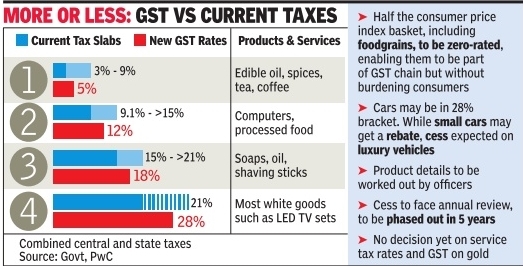 Finance minister Arun Jaitley said the GST Council had agreed to zero-rating for nearly half the items in the consumer price index basket as well as major foodgrains, while goods of everyday use would attract 5% GST, as against 6% proposed earlier. 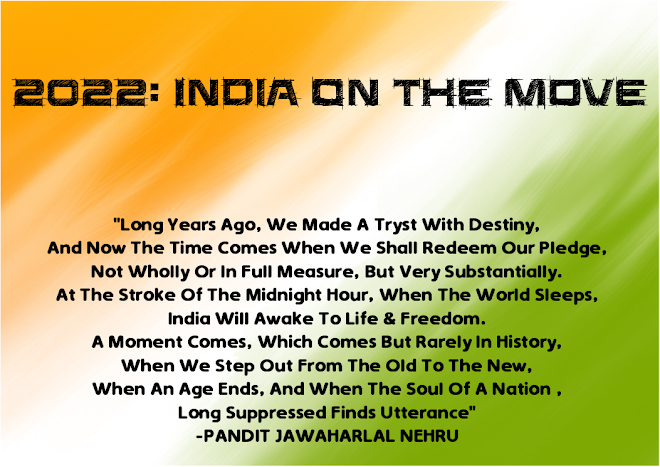 In addition, there wi ll be two standard rates of 12% and 18%, a move meant to blunt the Congress's demand for a standard 18% levy . 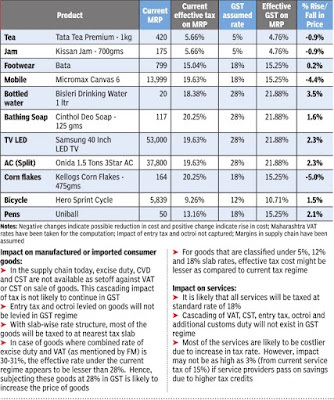 White goods and similar products will face 28% tax, instead of 26% suggested by the Centre earlier. 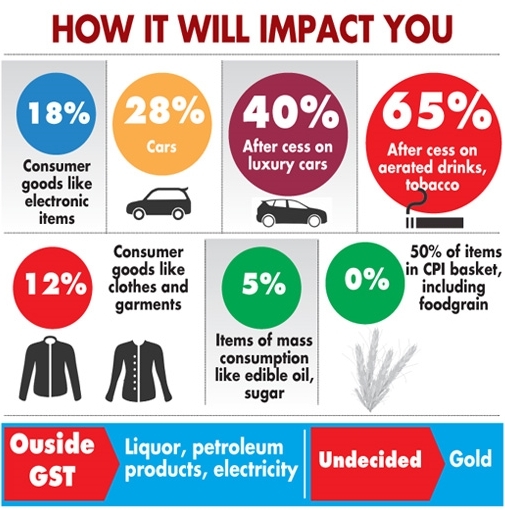 To help the Centre compensate the states for any possible revenue loss, the GST Council agreed to levy cess on luxury goods such as cars, tobacco products, paan masala and aerated drinks in addition to continuing with the clean energy cess on coal for five years. This will help the Centre net around Rs 50,000 crore to gather funds to compensate states for any revenue loss due to GST. While tobacco currently attracts 65% levy, the current rate on aerated drinks is around 40%. 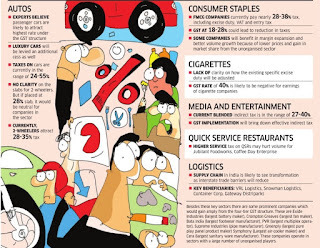 The government suggested that the rate structure would be non-inflationary as rates on several items would come down. The finance minister said the burden on the consumer would “hopefully“ be lower. 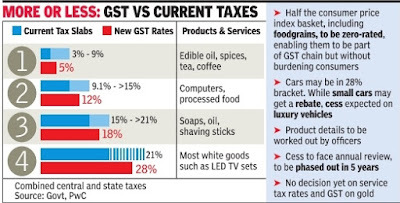 He said instead of the current slab of 30-31% on products such as white goods, which includes excise duty of 12.5% and state VAT of 14.5%, the highest slab under GST will be 28%. The additional benefit of two percentage points that will accrue to the government is being used to reduce the lowest slab from the proposed 6% to 5%. In addition, some products such as soaps, oil and shaving sticks, which would have gone into the 28% bracket, will now move to the 18% slab. The cess is, however, something that has still not found acceptance, although tax experts said that the slabs agreed upon at the GST Council were good for the common man. 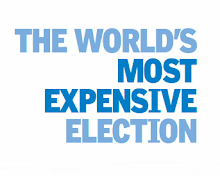 Some also suggested a low rate for education and health. 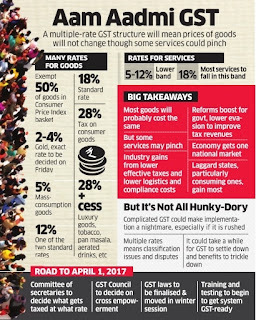 GST council has agreed on rate structure as 0%, 5%, 12%, 18% and 28%. Having a slab rate structure in GST is a departure from popular international practice of having one rate of tax for all goods and services. The council has not announced schedule of goods and services under each slab rate. 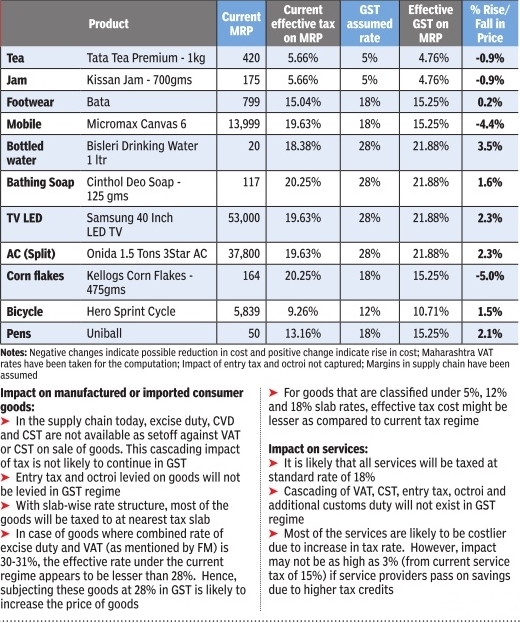 The FM has mentioned that highest tax slab rate applicable to items currently taxed at 30% to 31% (excise duty plus VAT) will be taxed at a demerit rate of 28%. 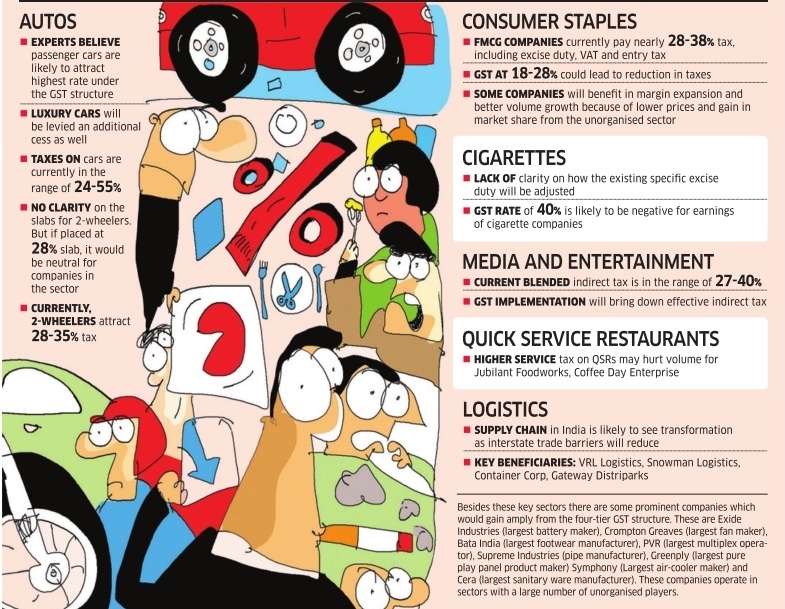 Some of the goods taxed at 28% will be charged with an additional cess for five years. 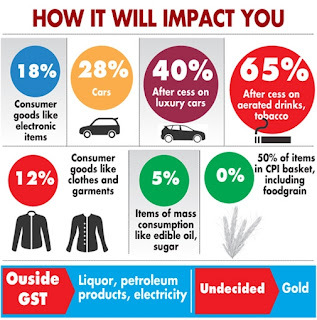 However, with use of best estimates and some publicly available information, the likely impact on MRP of the products can be summarised below.